Hello there, its Stefanie here. I clearly remember stalking Ramona's Memory Clips blog one year ago when she was giving away a template per day for the month of November. Can't believe a year has past and I am still privileged to be a part of her team. Not only THAT, this month you get to collect pieces of a kit until at the end of November you have a complete kit. Totally amazing! I love that her templates stretch me and get me to add more patterned papers top my layouts. I have two to share with you today. 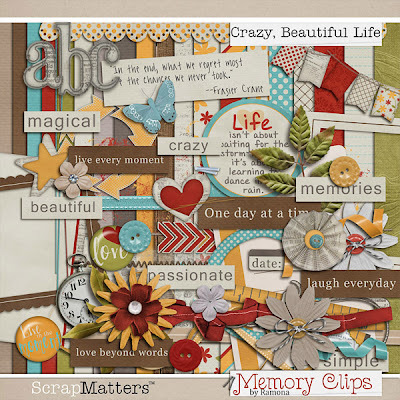 Firstly as we head back to sweltering temperatures..
Splash Time @ Brownie Scraps. and as I wear fewer clothes the figure becomes a thing to pay attention to as well. 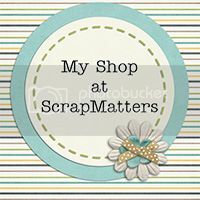 Crazy, Beautiful Life @ ScrapMatters. If you've been collecting the pieces of November's kit, then you are probably set! However, if you missed some or didn't find the blog until late in the month, Ramona has come up with a way for you to get the kit for FREE! 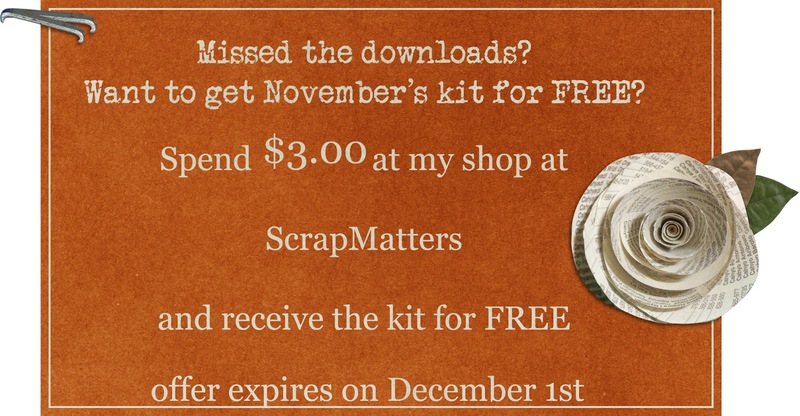 Between now and December 1st, every order over $3.00 placed, will receive the downloads to November's kit in your email within 24 hours! 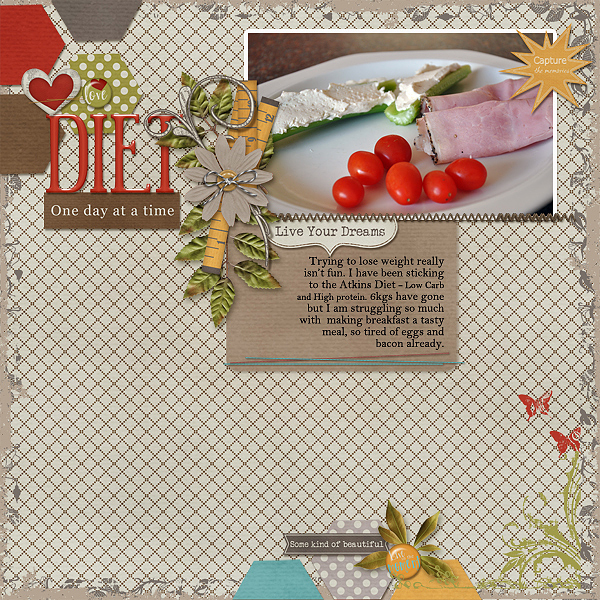 Thank you for your daily download, I am LOVING this kit! Was there a download to go along with today or is the kit complete? Thanks! Thank you so much ladies!! The FREE links to this November kit will be sent out soon. They don't come automatic, so I send them separate-which might take a few hours, but I will try to be as prompt as possible!! Thank you again!